Great value and local knowledge combine to make your golfing holiday a winner. Take advantage of our local knowledge and friendly service. Ocean Shores Motel is a proudly owned and operated family business. We have been in the hospitality industry for over two decades and have competence in every aspect of accommodation services, from cleaning through to senior management and all facets in between. In 2015 the we purchased Ocean Shores Motel with a goal of combining our accommodation expertise and passion for golf to provide you with the best golf holiday experience possible. Older motel in an established area just north of Byron. Reasonably priced for what is offered. Room was clean and good size. Found the bed comfortable and really appreciated the extra pillows to sit up in bed and watch TV. Hospitality of the managers was great from the outset. Booking a room was effortless as I rang the Motel directly and Linda was most helpful and friendly. We spent 3 nights there and were not disappointed. The room was spotlessly clean with kitchenette facilities. 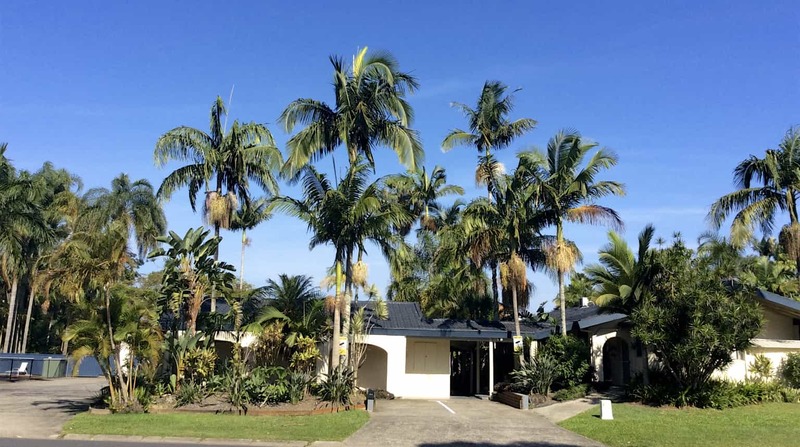 Older style Motel which was presented as well as it could have been – it’s main value to us was it’s location in conjunction to where we were attending an event. If I was attending Ocean Shores again I would have no problems in staying there once more. Linda and Rob are very welcoming and accommodating. Nothing is too much trouble for them. Ideal location if you wish to play golf at Ocean Shores Golf Club. A courtesy bus is provided by golf club to and from motel free of charge for dinner and drinks. 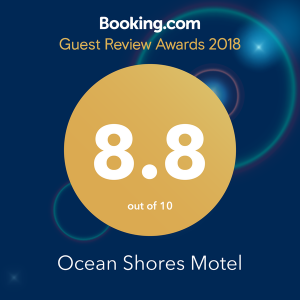 Please take a moment to let all your friends and associates know about our great Motel in Ocean Shores.